I realise this is a bit of a blogger cliché, but I have been absolutely PINING over a brown leather satchel since about.. oh, January this year. It's had to sit on the back burner because it isn't an essential (like food, or garden spades, or, er, weekends to Paris), but SURELY my time has come? I think this is the classic company that most people think of when musing upon satchels (as you do). 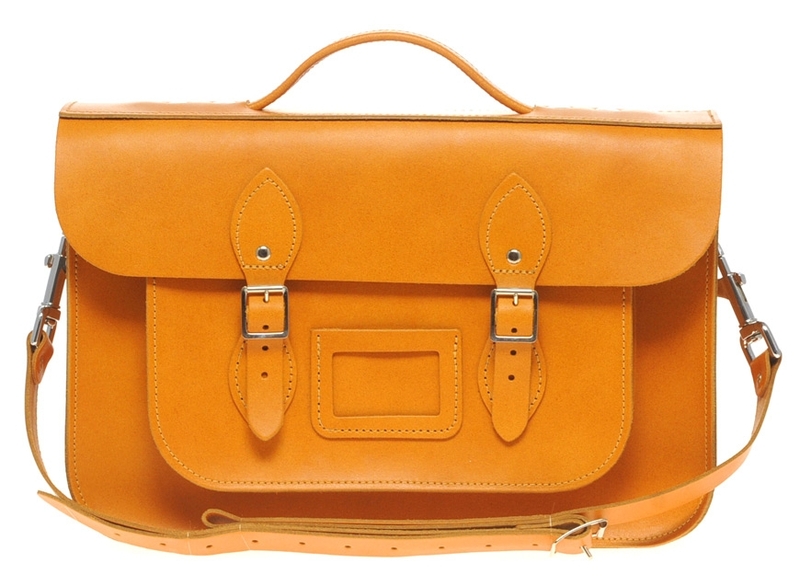 They are the fashion blogger's choice, are handmade in the UK, and look exactly like school satchels. Perfect. There's also a really nice story behind the company - it was set up by a mum who wanted a job that she could do from home, so she had time to spend with her dog & family. She was inspired by Harry Potter (! ),wanting to make traditional school bags that looked like the type Harry & Hermione would use. Since 2008 they've gone from producing 3 bags per week to 1,500! Well done them. 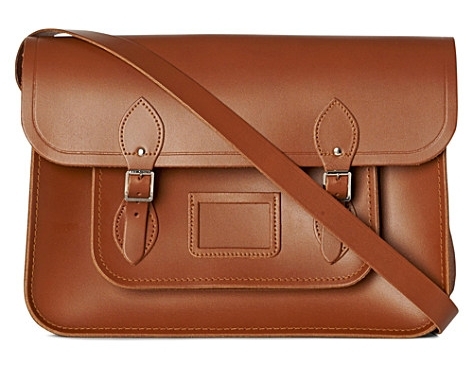 Then there's the Leather Satchel co. They've been on the go since the late 1960s, making handbags, doctors cases and satchels. You can order straight from the worktop, they offer a five year guarantee for each bag AND they wrap up each bag in brown paper and string (I'm easily impressed by small things). & then there's this beauty. I obviously can't afford it, but LOOK AT IT. 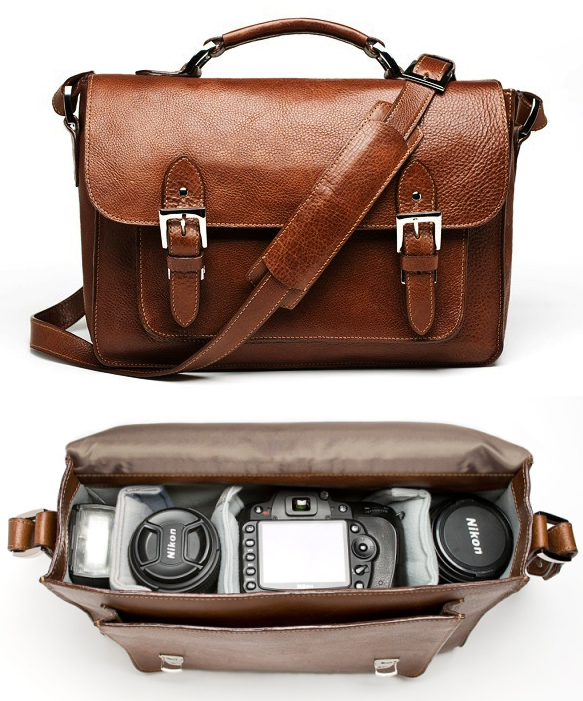 It's set up to carry an SLR camera plus extra lenses (or non-camera things) and would be just perfect for holidays and day trips. Maybe one for when I win the lottery? 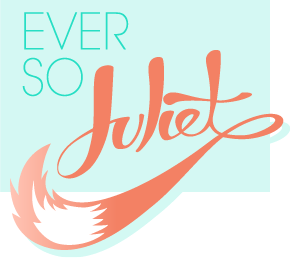 I know, I'm the same - I saw some in UO and then did nothing about it! Will keep a close eye on them now. Lovely choices, I would love a red satchel but am yet to find one I can afford! Love the first satchel! Ive realized I need a new bag for school and immediately fell in love with this style. I guess I know what I'll be splurging on this fall! I'm loving the last one! Is beautiful!